I'm cleaning out the garage this weekend and came across my stock intake manifold with plates. 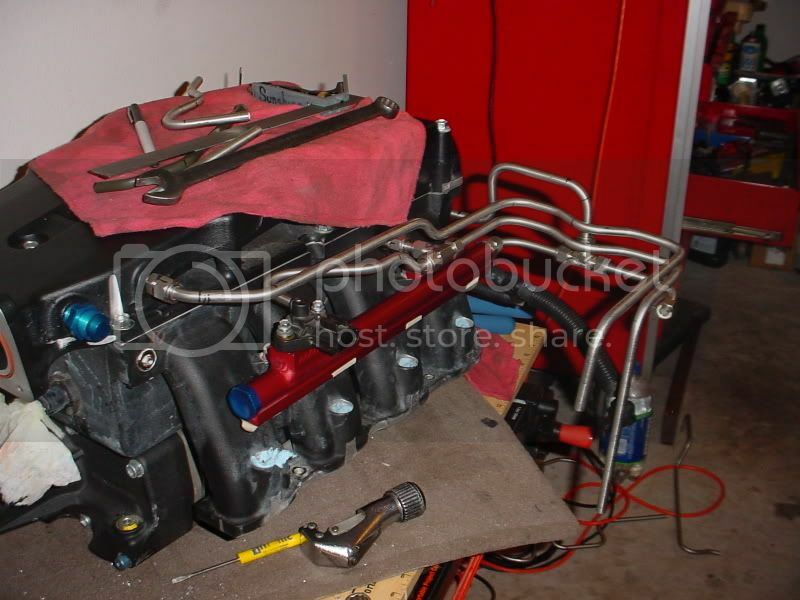 Since I seem to have a bit of talent bending tubing I'm wondering if anyone would be interested in a completely stealth, under the manifold, individual runner nitrous / fuel setup. If you were interested, how much would you consider paying for something like this? I can make these into delete plates and do all of the plumbing mounted to the mounting points for the motor in the back. I could possibly be interested!! !